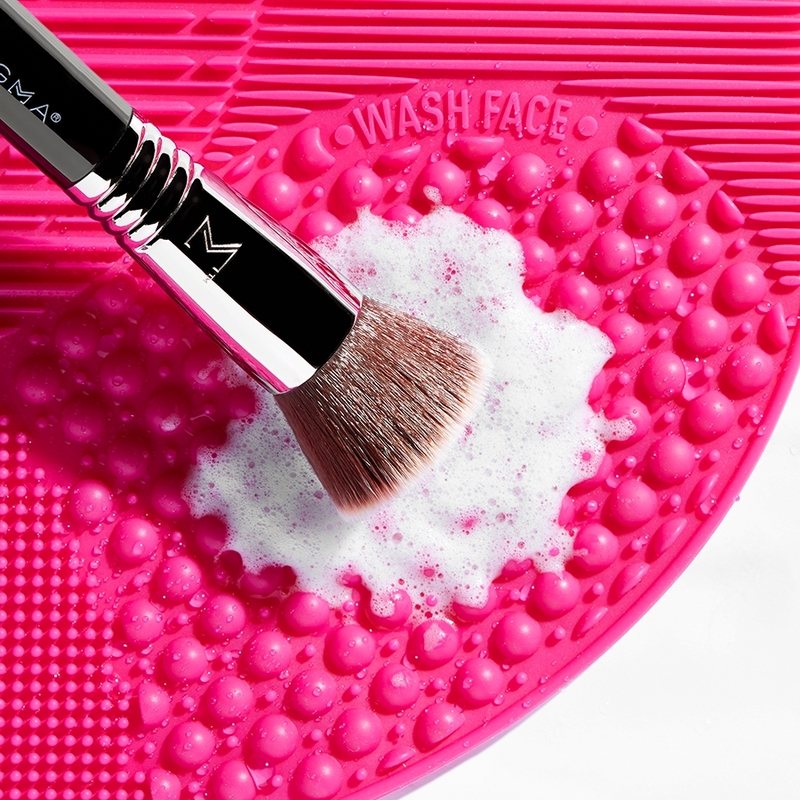 Your most-compact way to clean brushes. 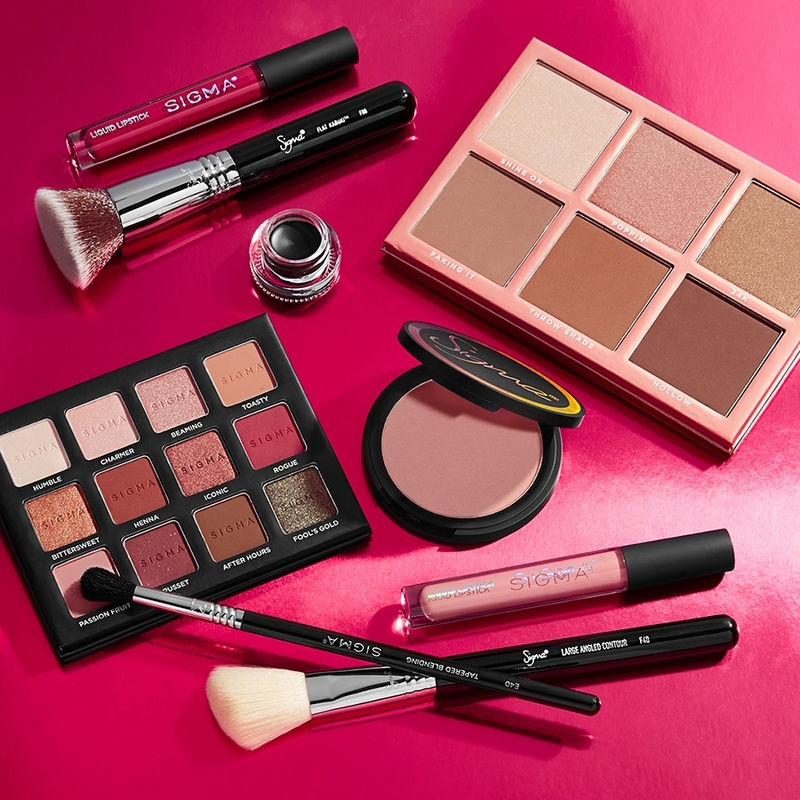 Swirl away build up on the 7 exclusive textures for better skin and makeup application quickly. 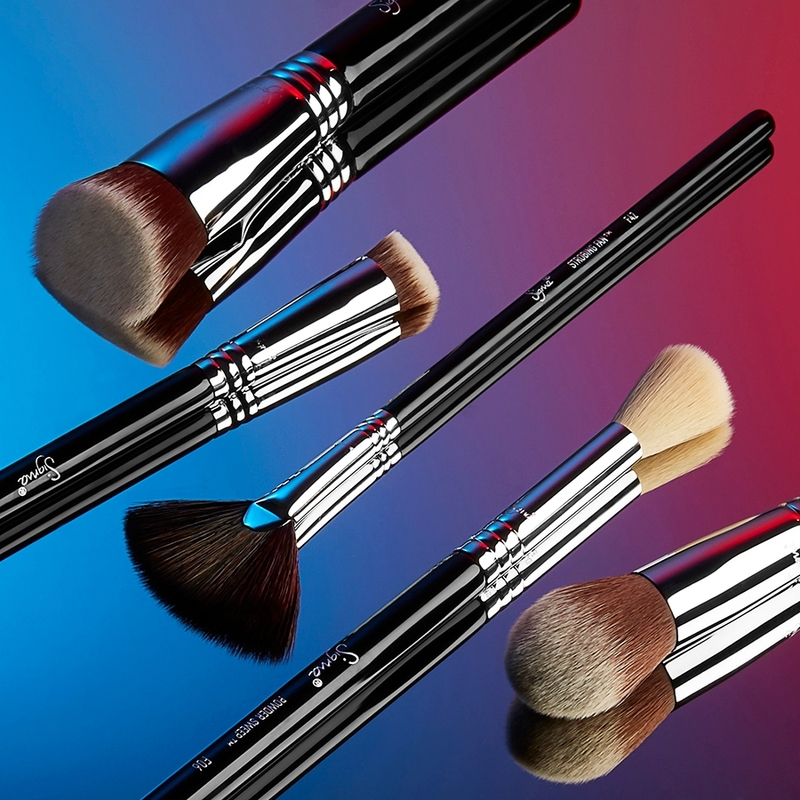 It's engineered for you to wash makeup brushes of all sizes. Featuring a reversible design and a wrist strap for rigorous brush cleaning without worry. 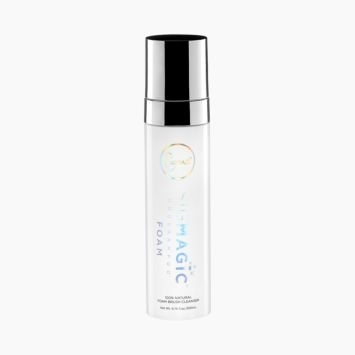 Get the deepest clean possible with 100% natural SigMagic® Brushampoo™. Travel with it for clean beauty everywhere you go. Sigma Spa® Express Brush Cleaning Glove is rated 4.9 out of 5 by 94. 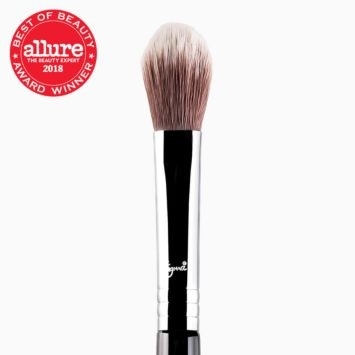 Rated 5 out of 5 by Indianshringar from Great innovation Cleaning my makeup brushes was a chore I used to hate! Till the Sigma Spa Express Brush Cleaning Glove entered my life.I was surprised at how clean the brushes turned out! The silicone ridges and grooves on the glove actually do a brilliant job of cleaning the brushes and my foundation and powder brushes were as clean as new! I certainly can’t get them that clean when I wash them by hand. 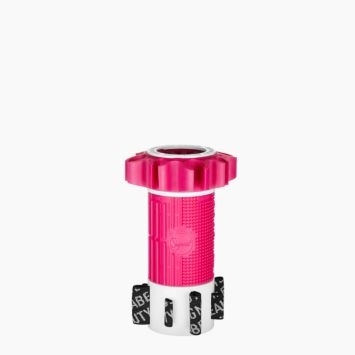 Since it is made of silicone, it is very flexible so you can’t break or tear it. It is thin and travel-friendly too if you need to carry it on your travels. Overall, a great product and a fabulous innovation that help saves time and makes an unpleasant task a pleasant one. Rated 4 out of 5 by Hype1 from Works great! This glove, along with the Beauty Blender solid soap, cleans my brushes better than anything I have ever tried. I only took off a star because it is a bit cumbersome flipping it back and forth to use the different textures. I wasn't aware of the cleaning mats when I ordered this, and I think I will still order the small in-sink cleaning mat, just because it's more convenient. However, this works as well I am sure, its just that I don't like the design--rather have a mat than a glove. Rated 5 out of 5 by Kimphoo95 from Love how its no hassle! Ok so , i got this for a gift on my birthday and I'm seriously in love! Cleaning my brushes are easy! Sometimes my boyfriend hooks me up while im at work! Its that easy lol.. i hope to try the brushes soon! Rated 5 out of 5 by Shelbyf from Clean as a whistle Bought this to get free shipping but I am so glad that I did!! Easy to use! Rated 5 out of 5 by Lynne from Great product! I bought this to help clean my brushes. I dreaded cleaning them before. Now it is done in a snap and I know they are clean. Thanks Sigma!!! Thank you for your question! As our cleaning gadgets are made with Silicon we would not recommend using your gadgets as a heat resistant mat. What is the difference between the sigma gloves? It says here the bigger glove has 8 textures but as I can see it only has 7, same as the express glove. 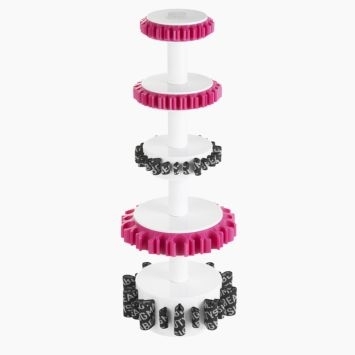 It is recommended to clean the spa brush cleaning gadgets using an oil based make up remover and tooth brush. What is the difference between this glove, the mat and the bigger glove? 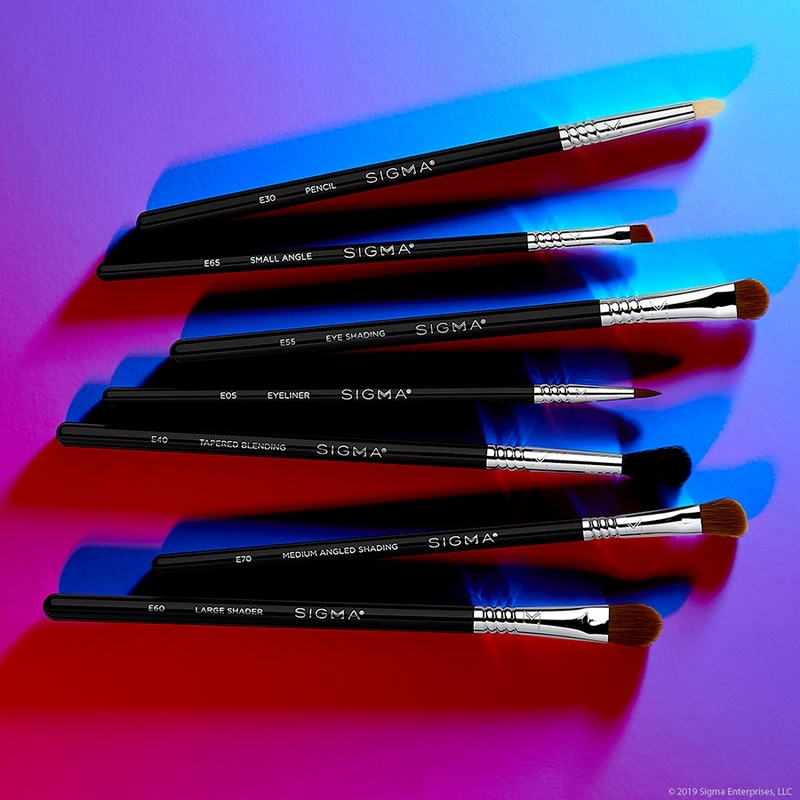 The Sigma Spa&reg; Express Brush Cleaning Glove was designed as a compact brush cleaning device featuring 7 patented textures for both eyes and face brushes. The glove provides a quick and effective cleaning process and is great for travel. 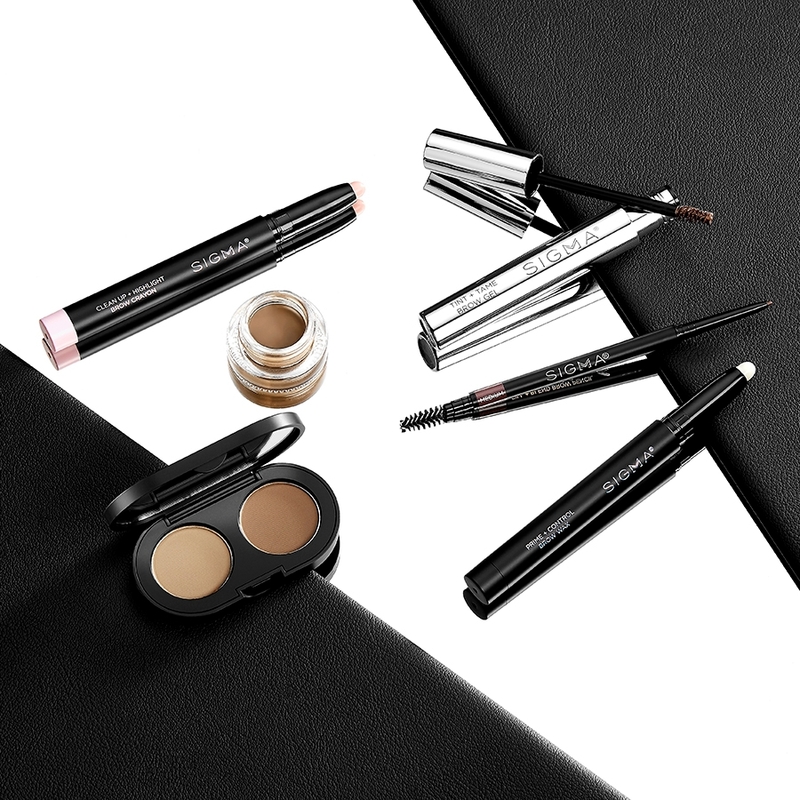 The Sigma Spa&reg; Brush Cleaning Mat features the same 7 patented textures to wash both eye and face brushes. The mat includes suction cups on the backside for secure placement on flat surfaces. It is designed to fit most sinks. There is also an Express Mat available for smaller sinks! The 2X Sigma Spa&reg; Brush Cleaning Glove was designed as an upgrade from the original glove featuring not only one, but TWO thumbs for added comfort and an easy-to-turn transition from the eyes to face side. Is the glove latex free? The Sigma Spa&reg; Express Brush Cleaning Glove is Latex free! It is recommended to clean your brushes weekly using the cleaning instructions provided below. 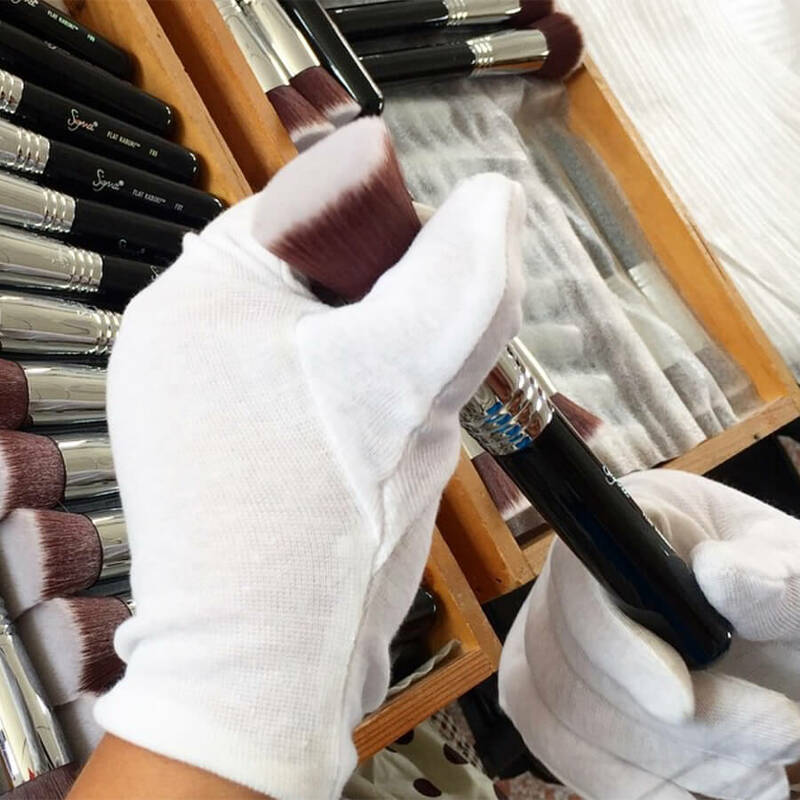 Proper care will prolong the life of your brushes. 1. WASH - Add a small amount of mild shampoo or cleanser to brush bristles and gently scrub using the patented textures of a Sigma Spa&reg; Gadget. 2. 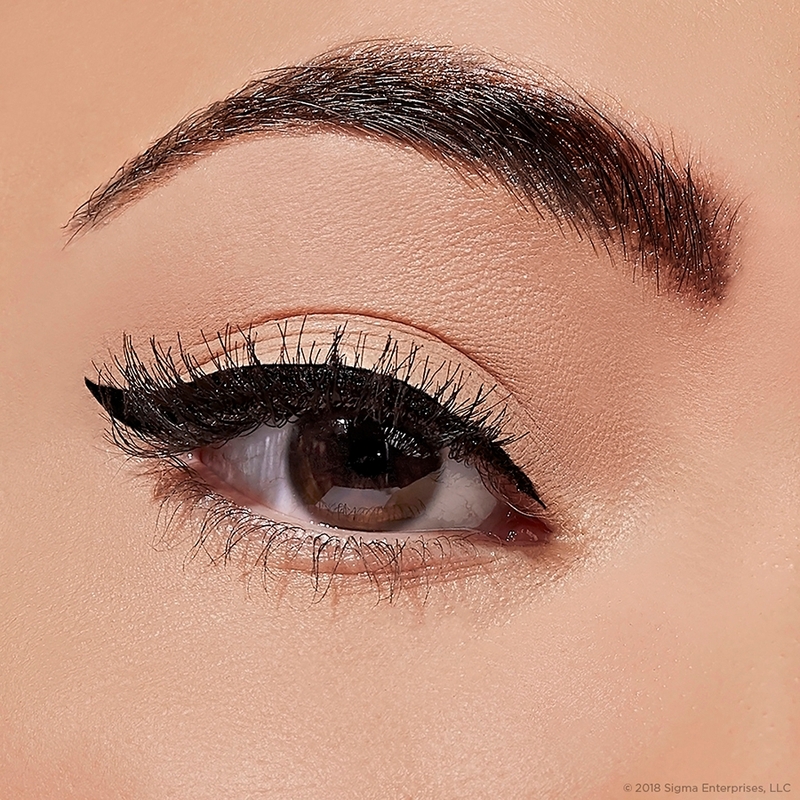 RINSE - Rinse with warm water to remove makeup residue and soap, until water runs clear. 3. RESHAPE - Remove excess water, reshape brush head and place in Dry&rsquo;n Shape Tower&reg; or lay flat on a towel to dry. how long does this glove last? 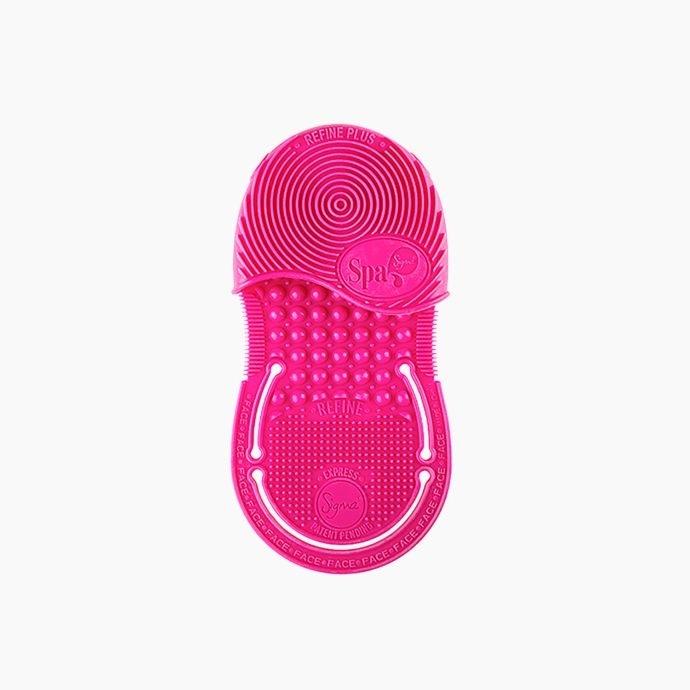 The Sigma Spa&reg; gadgets are made with a high-grade, durable silicone and are made to last! What is the best cleaning solution to use with this brush cleaning glove?